Top up a minimum of RM 30 to your U Mobile Prepaid at any of the participating online channels. The highest 15 monthly top ups will be rewarded! 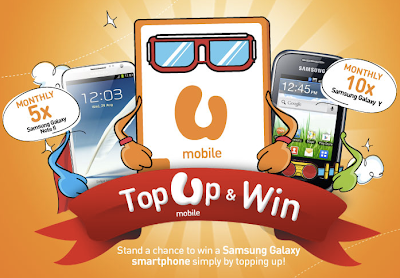 The more you top up, the higher your chances of winning. This contest result are out! Check out the result page to see if you are one of the winners!